VAN DER MERWE, Johann Philmar. Centre. 5ft. 9in., 11st. 11lb. Born at Uitenhage 7/12/1947. 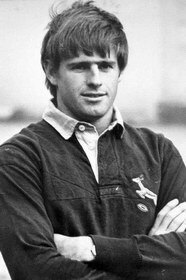 Has played eleven matches for Western Province between 1968 and 1969. New cap. Student. Unmarried.